John F. Anthony was born in Coplay, Pennsylvania to Rose (Klement) and Martin Anthony on October 12, 1928. He passed away on March 30th, surrounded by his loving family. He was 89 years young. He was married to Monica (Lichman) Anthony for 64 years. John was first and foremost a loving husband, father and Pop-Pop to his family. He retired as Maintenance Supervisor from Mack Trucks Macungie Plant. 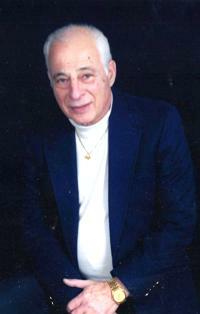 John was a devoted member of St. John the Baptist Church in Allentown. Throughout the years he served as President of the Holy Name Society, and was the first recipient of the Ralph E. Rosenberger Man of the Year Award. He volunteered for the Boy Scouts of America, played on the men’s softball team, helped maintain the Church bells, organized dances, assisted at festivals, and was a member of the choir. John was a lifetime member of the American Legion and served honorably in the Army during the Korean War. He is survived by his loving wife Monica, daughters Susan Alfier (Joseph), Monica Leavitt (Doug), sons Mark Anthony (Cheryl), Michael Anthony (Eric) and Martin Anthony, 7 grandchildren, 4 great grandchildren, and sisters Mary Danko and Anna Udicious. He was predeceased by son John Anthony, and siblings George and Martin Anthony, Stephanie Lang and Rose Molchany. A viewing will be held on Thursday, April 5th, from 6-8 PM at Kohut Funeral Home, 950 N. Front St., Allentown, PA 18102. A viewing will be held Friday, April 6th from 10:30-12:00 PM in the Church vestibule of St. John the Baptist Slovak Catholic Church, 924 N. Front St., Allentown, PA 18102, with a Mass of Christian Burial to follow at 12:00 PM. The family would like to thank the Staff and Administration at Whitehall Manor for their care, support and friendship. Contributions can be made to St. John the Baptist Slovak Catholic Church, Allentown, in care of Kohut Funeral Home. Layton H. Andreas, Sr. 85, of Allentown, passed away on March 11, 2018 at Lehigh Valley Hospice. He was the loving husband of 64 years to the late Mary (Lagosky) Andreas. Born in Allentown, he was the son of the late Howard H. Andreas, Sr. and Frieda (Musselman) Andreas Hebor. He was a paratrooper in the 82nd Airborne Division, serving as a Corporal and 1st Cook during the Korean War from 1950-1953. He retired from Durkee Food Corporation in Bethlehem, PA after 25 years of service. Layton was a devoted member of St. Mary’s Ukrainian Orthodox Church and an active member of the St. Mary’s Seniors Organization. He was also an active member of the American Legion Post #367. He formerly served as a church board member for many years and held honorary membership in the former Ukrainian American Citizens Club. Also, the 82nd Airborne Division Association and a former member of the Lapoawinzo Fish and Game. He was a dedicated 6th Ward Hibernia Voting Machine Operator for 20 years. 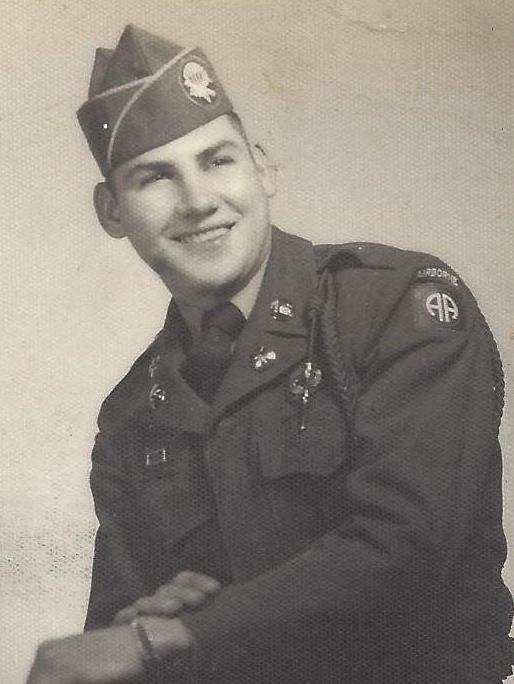 Layton enjoyed bowling and fishing and served as an Assistant in Scouting for 25 years. Survivors: sons, Layton Jr. and wife Judy, Paul, Mark and wife Laura; daughter, Mary Jo and husband Scott Anderson; grandchildren, Nicole and husband John Fritz, Brian and girlfriend Melissa, Matthew, Steven, Ryan and Daniel; nephews and nieces. He was predeceased by an infant son; brothers, Joseph H., Howard H. Jr.; sisters, Helen, Annette, Winifred and June. Services: A viewing will be held Friday, March 16th 6-8PM with Parastas at 7:30PM in Kohut Funeral Home, Inc. 950 N. Front St. Allentown, PA 18102. A viewing will be held Saturday, March 17th 10-10:30 with a Funeral Service at 10:30AM all in St. Mary’s Ukrainian Orthodox Church 1031 Fullerton Ave Allentown, PA 18102. Burial to follow in the parish cemetery. In lieu of flowers, contributions can be made in Layton’s memory to St. Mary’s Ukrainian Orthodox Church. Linda Rae (Lobb) Anthony, 69, of Bethlehem, passed away July 13, 2017. She was the loving wife of 49 years to William K. Anthony. Born in Allentown, she was the daughter of the late Ray D. and Blanch P. (Abele) Lobb. Linda was a very strong and kindhearted woman. She was the type of person that you could have long conversations with and admire her individuality. She will be deeply missed. Survivors: Husband- Bill Anthony; Nieces and Nephews. She was predeceased by her brother- David Lobb. A viewing will be held on Monday 6-7PM with a service at 7PM in Kohut Funeral Home, Inc. 950 N. Front St. Allentown, PA 18102. Contributions can be made in Linda’s memory to the American Cancer Society 3893 Adler Place, Suite 170 Bethlehem, PA 18017. 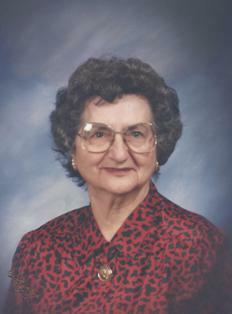 Mary Andreas (Nee Lagosky) 84 of Allentown passed away surrounded by her loving family on Tuesday, June 14, 2016 (the 67th anniversary of her H.S. graduation). She was the daughter of late Paul and Mary Lagosky and a proud ‘49er who last Saturday marked her 67th reunion from Allentown High School. Junior High School and the Sheridan Elementary School. Services: Calling hours Thursday, June 16th 6:00 to 8:00PM with Panachyda at 6:30PM in Kohut Funeral Home, Inc. 950 N. Front St. Allentown, PA 18102. Divine Liturgy to be celebrated Friday June 17th at 10:30AM with Calling Hours starting at 10AM in St. Mary Ukrainian Orthodox Church 1031 Fullerton Ave Allentown, PA 18102. Interment in the parish cemetery to follow, all are welcome. Donations in Mary’s memory can be made to the church. Michael P. Albright, age 49, of Allentown, passed away January 18th while in hospice care. He was the son of the late Albert Albright and Geraldine (Fedor) Albright. Michael was a member of the Cathedral of St. Catharine of Siena Church. He was a self- employed carpenter. He was a loving father to his son, Michael T. Albright, age 17, a senior at Parkland High School. Survivors: Mother; Son-Michael T. Albright; Brothers- Mark, Kevin, Albert and his wife, Jane; Matthew and his wife, Melissa; Gregory and his wife, Jennifer; and Jonathan and his wife, Laura; many Nieces and Nephews. 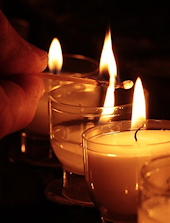 Services: A funeral mass will be held at 10:00 am on Wednesday, January 27, 2016 at the Cathedral of St. Catharine of Siena, 1825 W Turner St, Allentown. Marilou J. (Fernandez) Albright, 51, of Catasauqua, passed away April 29, 2015. She was the loving wife of 29 years to Mark Albright. Born in Philippines, she was the daughter of Mercedes (Jaime) and the late Artoro Fernandez. Marilou was a joyous and vibrant woman that enjoyed cooking and gardening. She spent every moment pursuing health and happiness for her children and grandchildren. The candle of her life has prematurely burnt out, but the light of her spirit and love will illuminate this world forever. Husband- Mark Albright; Mother- Mercedes Fernandez; Children- Jack and wife Nyki Deets, Melanie Deets, Melissa and husband Steve Costley, James Deets, Tasha Albright and Theresa Albright; Grandchildren- Alexus, Sophia, Tyler, Zooey and Brycen; Siblings- Marilyn Larrea, Arsenio Fernandez and Maritez Fernandez. Services will be Private at a later date. Arrangements care of Kohut Funeral Home, Inc. In lieu of flowers contributions can be made to the Albright Family care of Kohut Funeral Home, Inc.
Elizabeth “Betty” P. (Pohl) Anselmi, 94, of Allentown, passed away in her home Sunday, July 21, 2013. She was the loving wife of the late Victor J. Anselmi Sr. Born in Allentown, she was the daughter of the late Charles and Mary M. (Yakubec) Pohl. Elizabeth retired from AT&T after 35 years of service. She was a member of St. John the Baptist Slovak Catholic Church. Elizabeth was a past Secretary and Treasurer for the St. Johns Auxiliary, volunteered with Catholic Social Agency, Sacred Heart Hospital and the Holy Spirit School Library. She was predeceased by her son- Rev. Victor J. Anselmi Jr. and brothers- Francis and Charles Pohl. 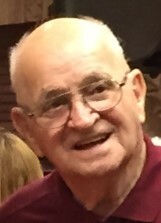 A viewing will be held Thursday 9:00-10:30AM in Kohut Funeral Home, Inc. 950 N. Front St. Allentown 18102. Mass of Christian Burial to be celebrated Thursday at 11AM in St. John the Baptist Slovak Catholic Church 924 N. Front St. Allentown 18102. Burial to follow in Holy Saviour Cemetery, Bethlehem. In lieu of flowers, donations can be made in Elizabeth’s memory to St. John the Baptist Catholic Church.